What is the difference between the Beit HaMikdash and Mishkan? Are their functions identical, or perhaps there are distinctions between the two? And they shall make Me a sanctuary (Mikdash) and I will dwell in their midst. Parashat Shmini presents the commencement of the service of Aaron as High Priest in Mishkan (the Tabernacle), following the eight days of consecration. The mitzva to build Mishkan was presented in the Book of Shemot (Exodus). At the beginning of Parashat Teruma, we read God’s words: “And they shall make Me a sanctuary and I will dwell in their midst;” we were commanded to build a Temple (Mikdash) where the Shechina will dwell in our midst. Dvar Torah written by Ori Engelman. Presented by:Yedidya Solomon. Rashi comments on this verse: "ועשו לשמי בית קדושה" (“They shall make for My name a house of sanctity”). The Beit HaMikdash (Temple) is a house of sanctity. The significance of a house is that it contains whatever is inside it and centralizes the contents. This is the significance of “Mikdash” in the verse; a house which contains holiness. However, the Beit HaMikdash was not built in the wilderness, prior to Israel’s entry into Eretz Yisrael. In the wilderness, Mishkan, which is identical to the Beit HaMikdash except that it was temporary, was built. Mishkan was a preparation for the Beit HaMikdash, but in essence Mishkan and Beit HaMikdash are one and the same. The following verse in Parashat Teruma presents Mishkan: "כְּכֹל אֲשֶׁר אֲנִי מַרְאֶה אוֹתְךָ אֵת תַּבְנִית הַמִּשְׁכָּן וְאֵת תַּבְנִית כָּל כֵּלָיו וְכֵן תַּעֲשׂוּ" (“According to all that I show you, the pattern of the Mishkan and the pattern of all its vessels; and so shall you do”). The Torah’s reference to “the pattern of the Mishkan,” rather than “the pattern of the Mikdash” makes it clear that it deals with Mishkan. The Mishkan and Beit HaMikdash function identically – facilitating the manifestation of the Shechina within Israel. Indeed, the Gemara (Eruvin 2a) teaches that the two words are interchangeable; they have the same meaning, but at times one of the words is used, and at other times the second word is used. The Messiah, son of Joseph and the Messiah, son of David; each is Messiah, but Messiah, son of Joseph is temporary, while Messiah, son of David is the permanent Messiah. The kingdom of Saul, which was temporary and the kingdom of the House of David, which is permanent. In each of the above instances, the first is the necessary preparation for the second; that is, the first is a foundation without which the second cannot stand. For example, as Israel’s first king, Saul represents the establishment of Israelite monarchy. Saul created the basis for monarchy, with David, upon succeeding to the monarchy, benefitting from the foundations Saul had created. How may we explain this duplication? Why are there two separate things which are essentially identical in the cases of Beit HaMikdash, monarchy and Messiah? Resolution of this difficulty will answer our central question. Every encounter of a human being with an object has two aspects, general and specific, or objective and subjective. The following example will clarify the concept. When one sees a table, he sees an object with four legs supporting something which lies horizontally above the legs. This is the general description of a table, and suits any table which one is likely to encounter. Since this is the general description, it does not provide information on the specific characteristics of a given table. In order to describe a specific table, it is necessary to describe its color, of what material it is made, its size, etc. Each of these specifics removes the table being described from the general rubric of “table” and specifies the particular table being described. This is true of all things. For example, when we meet a person, we encounter one who is part of mankind, who has limbs, the form of a person, etc. However, these are all general definitions, and when we delve more deeply, we encounter the specific characteristics of the individual, his name, background, appearance, etc. This approach is prominent in Rabbi Zvi Yehuda Kook’s teachings, since it provides a key for our generation to understand the concept that in every individual encounter there is also a general encounter; this concept is crucial to understanding how to look at Am Yisrael (the Nation of Israel) through the prism of the totality of the nation. Mishkan represents the general manifestation of the Shechina within Israel; God’s ability to dwell within Am Yisrael wherever they may be. This is the general definition. There is no permanent location; it is completely temporary, with the Mishkan being set up and dismantled to be set up elsewhere. This is the “general” definition discussed above; there is full manifestation of the Shechina, Indeed, the word “Mishkan” is from the same root word as “Shechina,” however, what is missing is the permanence of being attached to the ground. In contrast, Beit HaMikdash no longer carries the name “Shechina,” but “kedusha (holiness).” The Bet HaMikdash is a stable and permanent structure, with four walls and occupying a particular space, a structure with its own measurements and appearance. As well, all the Beit HaMikdash’s components and vessels are described in detail, as is the manner in which they are used within the Temple service. As quoted above, Rashi defined the Beit HaMikdash as “a house of sanctity,” first it is a house, a physical place with defined boundaries; these specifics define it, and one of the specifics of the Beit HaMikdash is sanctity. In the Beit HaMikdash we find a balance between the general and the specific factors: holiness, manifestation of the Shechina within Israel and connection to the Creator of the World. In the Beit HaMikdash these are expressed not merely on the general level, but in great and specific resolution, including the location – this is the specific aspect. The Mishkan was preparation for the permanent structure, the Beit HaMikdash. Its function was to prepare Am Yisrael for the Beit HaMikdash in Jerusalem. Therefore, the Mishkan had more general characteristics. It expressed the manifestation of the Shechina, but not in any specific place. The Mishkan prepared the groundwork for the Beit HaMikdash, making the land and the soil suitable to accept the great enlightenment of the Temple, God’s dwelling place on earth. 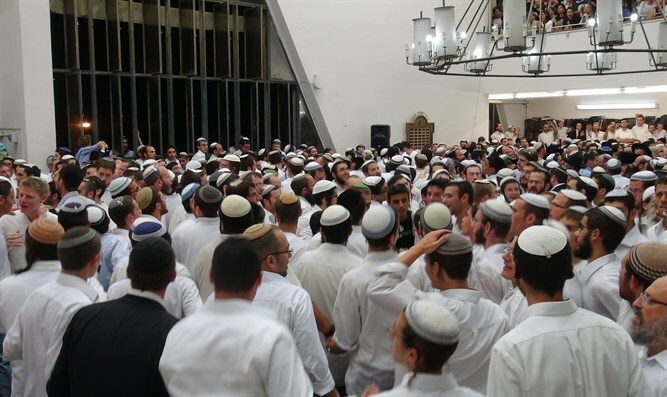 The sanctity of the Beit HaMikdash, as it were, goes from the ground up – it is a house, a house of holiness, but the sanctity rises to heaven and to the highest spiritual level. "ר' שמואל בר נחמן אמר בשם ר' נתן שמנה עשר ציוויין כתובין בפרשת משכן, כנגד שמנה עשרה חוליות שבשדרה. וכנגדן קבעו חכמינו זכרונם לברכה י"ח ברכות שבתפילה, כנגד י"ח הזכרות שבקרית שמע, וכנגד שמנה עשרה הזכרות שבהבו לי"י בני אלים (תהלים כט)"
Rabbi Shmuel bar Naḥman says in the name of Rabbi Natan: there are eighteen separate commands connected to the Mishkan, corresponding to the eighteen vertebrae of the spine; corresponding to these, our Sages, of blessed memory, established the eighteen blessings of the prayers, and corresponding to the eighteen mentions of God’s names in Kriat Shema, and the eighteen mentions of God’s names in Tehillim 29. This Midrash presents an interesting parallel between the Mishkan and the human spine. It is the spine which allows a person to stand erect and connects the upper and lower parts of the body. So too the Mishkan, the first place of the manifestation of the Shechina, as preparation for the Beit HaMikdash, is the spine which allows it to stand. As it were, when the Bet HaMikdash was built, this spine was incorporated into it, completing the body which was necessary for serving God and manifestation of the Shechina. "וכן היה ר' יהודה אומר שלש מצוות נצטוו ישראל בביאתן לארץ נצטוו למנות להן מלך ולבנות להן בית הבחירה ולהכרית זרעו של עמלק"
Rabbi Yehuda used to say: Israel was commanded to fulfill three mitzvot upon entering the Land: to appoint a king, to build themselves a Beit HaMikdash (Bet haBeḥira, literally “The Chosen House”) and to annihilate the descendants of Amalek. Among the three mitzvot which the nation was obligated to fulfill upon entering the Land was to build the Beit HaMikdash. Israel’s basic connection to Eretz Yisrael was expressed through the eternal connection between the nation and the Creator of the World in the Beit HaMikdash. The Beit HaMikdash is the permanent structure, moored in the earth, as Israel is bound to soil of its Land. The Mishkan was the preparation, the path to the Beit HaMikdash – existing at the stage in which Am Yisrael was being established and formed in anticipation of entry into the Chosen Land, the Holy Land. In the wilderness, Am Yisrael experienced numerous trials and difficulties, including Koraḥ’s rebellion against Moshe, the sin of the spies, of those who complained , those who inappropriately desired things. [Ibid. 4ff.] Despite all these difficulties, God protected Israel and remained close to them, always maintaining His presence in the Mishkan. Despite all of Israel’s vicissitudes, God was with the nation at all times. The depth of this connection between Am Yisrael and the Master of the World, exemplified in the wilderness was by the Mishkan, was the necessary preparation for establishing the Beit HaMikdash on the soil of the Land and the Holy Mountain - Jerusalem in a permanent and perpetual manner, and for demonstrating that the bond between Israel and God is immutable. We learned of the connection between the Mishkan and the Beit HaMikdash. The Mishkan is the more general manifestation of the Shechina and constitutes the preparation for the Beit HaMikdash – it is the spine which allows the Beit HaMikdash to stand. The Beit HaMikdash is a permanent structure, occupying a specific space, unlike the Mishkan, whose location changed. This point led us to understand a basic and important concept: the permanent connection between Am Yisrael and the Shechina, which will never leave the nation. Even when the Beit HaMikdash is in a state of destruction and there is an apparent rift the Shechina remains with Israel at all times and in all places. We can explain how the Mishkan’s preparation for the Beit HaMikdash is expressed through the example of someone who marries and builds his home. Building a home requires preparations and appropriate foundations – proper virtues, love and fear of God, Torah knowledge, etc. The groom’s entire life constitutes the corridor leading to the home he will build. In a sense, every experience which tests character constitutes preparation for developing the moral qualities which will serve him in dealing with issues that arise on a daily basis in building and maintaining a Jewish home. The Mishkan represents preparation and the Mikdash represents the permanent and perpetual service. 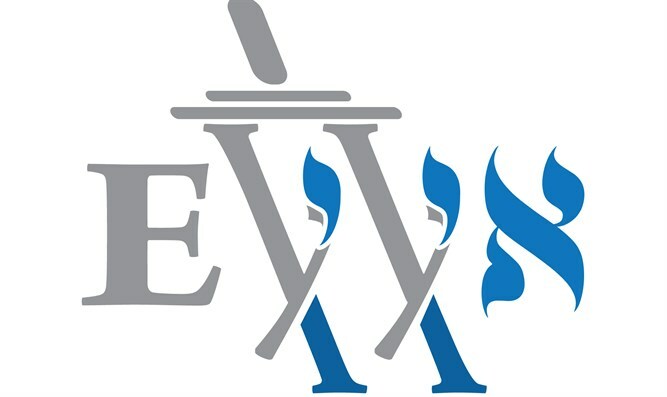 ​The Eretz Yisrael Yomi website was established with the goal of recharging the love for Eretz Yisrael and reinvigorating the idealism of living in Eretz Yisrael based on sources from the Torah and Chazal. Writen and presented by young Torah scholars learning Torah n Israeli Zionist yeshivas. such as Merkaz Harav and Beit El.